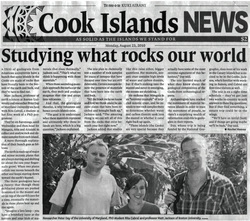 While in the Cook Islands in August, 2010, Jackson, his student, Rita Cabral, and colleague Dr. James Day interviewed with a local newspaper (Cook Island News) to discuss our research in the region. 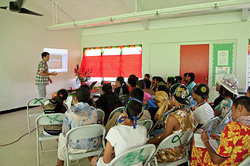 Jackson also organized a meeting with the Prime Minister of the Cook Islands, the Honorable Jim Marurae, to discuss future plans for geological and geochemical research there. 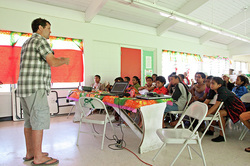 Highlights of public outreach during Jackson's participation during NOAA expedition to American Samoa. 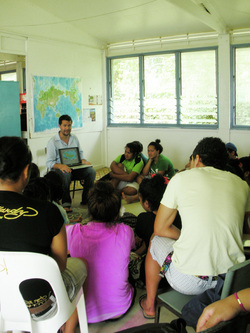 --During the 2017 seagoing expedition to American Samoa and Independent Samoa, we conducted ship tours for local students, teachers, VIPs and media in both Pago Pago and Apia. 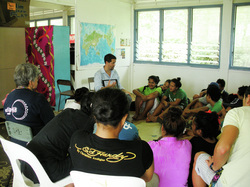 118 participants visited the ship in Pago Pago, American Samoa and about 115 participants and 15 media visited the ship in Apia, Samoa. 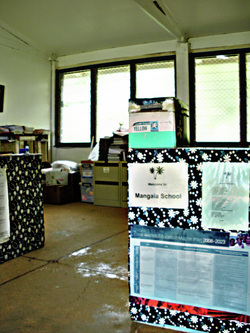 --Received news and media coverage by more than 45 outlets (including CNN, CBS, Huffington Post, Scientific American, Gizmodo, and local media in American Samoa and Samoa). Shared live video feeds of the expedition with the public worldwide via the Internet, with the live video receiving more than 6.2 million views via YouTube and Facebook. 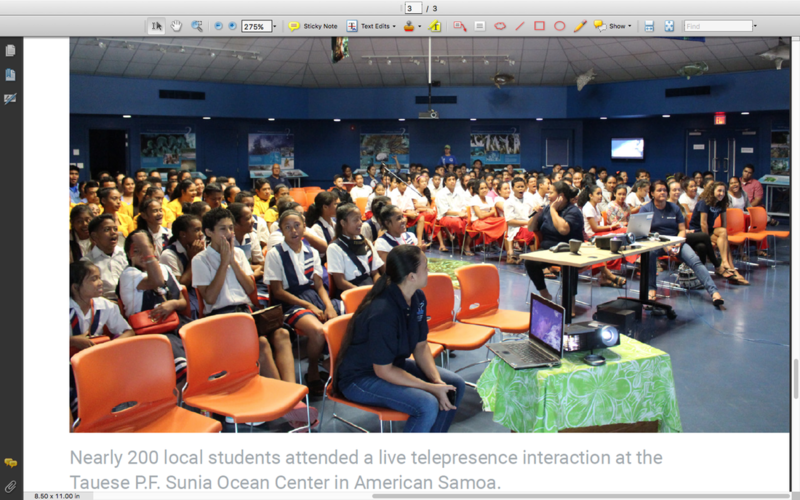 --Conducted two live interactions with the Tauese P.F. 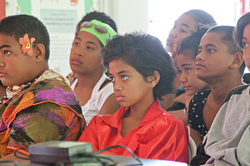 Sunia Ocean Center in American Samoa to engage and share the expedition with ~170 local students, the Office of Samoan affairs, and other agency representatives and officials (see image of students, below). --At least 48 scientists and students from 12 U.S. states, Japan, Russia, Chile, and Trinidad and Tobago participated in the expedition as members of the science team.